Derotation stabilizing knee brace. 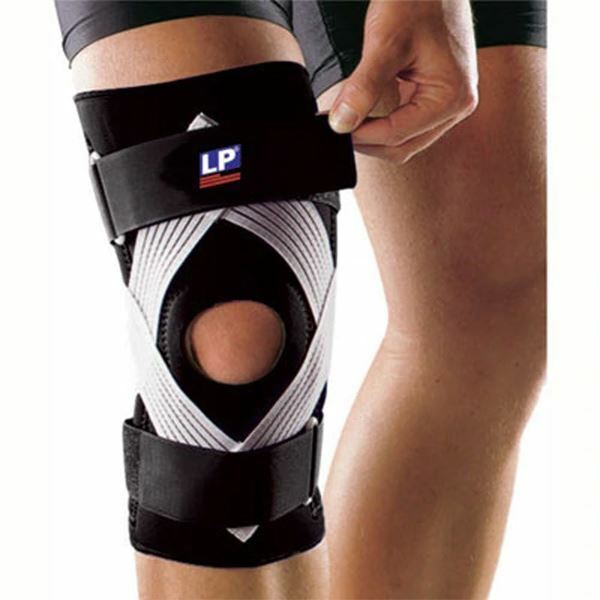 Adjustable strap provides extra compression to the patellar tendon. Helps relieve pain and inflammation of the tibial tubercle associated with Osgood Schlatter disease. Spiral stays on each side provide medial and lateral support. Measure the circumference of the knee at the patella with knee fully extended.